Fanticy Acres is a full service horse boarding and breeding facility. We are located in Columbus, in Burlington County, New Jersey. The services include horse boarding, breeding,senior horse care, wound care(rehab), English/Western riding lessons and leasing. The farm has an outdoor riding ring and lighted round pen. There is ample pasture on the 53 acre facility. One paddock is moderate (4 acres) and one large field. 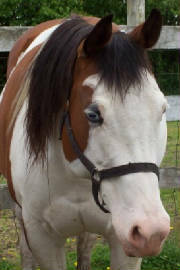 A dry lot is available for horse that cannot have grass. Trail riding is available on the property. We also load up and go to the parks. Located near South Jersey and Central Jersey minutes from Lower Bucks County/Philadelphia Area. Easily accesible via the New Jersey Turnpike @ Exit 7, Route 206, I-295 and Route 537. 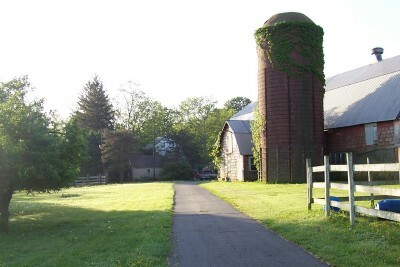 Directions: From NJ Turnpike exit 7, Rt.206 South to the Columbus exit, turn left at stop sign and the farm is 3 miles on the right hand side. From Rt. 206 North turn right at the light. From I-295 take Columbus exit continue on Columbus Rd. straight thru town. We are 3 miles from the center of town.